Einstein’s theory of special relativity states that Time slows down and length contracts with increasing speed of the observer. At the speed of light, time is said to come to a standstill. Something similar occurs in the occult worlds which stand behind the physical world. There are several different worlds organized like the rings of an onion. As we go higher up the planes of consciousness, Time slows down while Space becomes more flexible or amorphous and no longer possesses the fixed laws that we see here in the physical world. At the summit of manifestation, it is possible to see the past, present and future in a single glimpse. This is denoted as Triple Time Vision (Trikal-drishti) by Sri Aurobindo and the Mother Mirra Alfassa and was known in ancient scriptures as Trikala-Jnana. Sri Aurobindo (with slight editing): The mental view of Space and Time is determined by the idea of measure which is inherent in the action of the analytical dividing movement of Mind. Time is for the Mind a mobile extension measured out by the succession of the past, present and future in which Mind places itself at a certain standpoint whence it looks before and after. Space is a stable extension measured out by divisibility of substance; at a certain point in that divisible extension Mind places itself and regards the disposition of substance around it. This subjective view is the natural consequence of division of consciousness: the consciousness of Man which stands divided from the Conscious-Being which has created and also become this Universe. It is possible in pure Mind to disregard the movement of event and the disposition of substance and realize the pure movement of Conscious-Force which constitutes Space and Time; these two are then merely two aspects of the universal force of Consciousness which in their intertwined interaction comprehend the warp and woof of its action upon itself. Sri Aurobindo: Time and Space are not limited, they are infinite – they are the terms of an extension of consciousness in which things take place or are arranged in a certain relation, succession, order. There are again different orders of Time and Space; that too depends on the consciousness. The Eternal is extended in Time and Space, but he is also beyond all Time and Space. Timelessness and Time are two terms of the eternal existence. The Spaceless Eternal is not one indivisible infinity of Space, there is in it no near or far, no here or there – the Timeless Eternal is not measurable by years or hours or aeons, the experience of it has been described as the eternal moment. But for the mind this state cannot be described except by negatives, – one has to go beyond and to realise it. Sri Aurobindo: The world is a cyclic movement (samsāra) of the Divine Consciousness in Space and Time. Its law and, in a sense, its object is progression; it exists by movement and would be dissolved by cessation of movement. But the basis of this movement is not material; it is the energy of active consciousness which, by its motion and multiplication in different principles (different in appearance, the same in essence), creates oppositions of unity and multiplicity, divisions of Time and Space, relations and groupings of circumstance and Causality. All these things are real in consciousness, but only symbolic of the Being, somewhat as the imaginations of a creative Mind are true representations of itself, yet not quite real in comparison with itself, or real with a different kind of reality. The development and progress of the world according to an original truth of its own being implies a succession of Time, a relation in Space and a regulated interaction of related things in Space to which the succession of Time gives the aspect of Causality. Causality is represented mythologically by Vishnu on the causal Ocean sitting on the hood of Ananta, the infinite snake whose endless folds are Time, and are also Space and are also Causality, these three being fundamentally one, — a Trinity. Mother (on Creation): It is exactly as if you are like this (gesture of being doubled up), and then you do this (gesture of opening) ― and so what was there comes out. So these two movements are literally opposite, but it is the same thing in two opposite attitudes which are simultaneous: it remains like this (inward gesture), and at the same time it is like this (outward gesture); the one does not cancel out the other and they exist simultaneously. But in one direction it is imperceptible because it is contained within itself, in the other movement it is thrown outside, and so it can be seen. And when it is self-contained, it is co-existent in a perfect simultaneity; and in the other movement, it unfolds itself in a constant being. And when it unfolds itself, it necessarily creates Time and Space, while there it is outside Space, outside Time and beyond all possible perception. But it is the same thing in two opposite movements. Question: At what moment does Time begin? The Consciousness that chooses – is it in Time as soon as the unrolling begins? Mother: No, Time is a succession; you must be able to conceive that the Supreme Consciousness, before objectifying itself, becomes aware of Itself in Itself. There is a global, total and simultaneous perception and there, there is no Time. Likewise one cannot speak of “Space”, for the same reason, because all is simultaneous. It is something more; it corresponds to a state of consciousness subjective rather than objective, for the aim, the motive of creation is objectivisation; but there is a first step in this objectivisation in which there is a plenary consciousness, total and simultaneous, beyond Time and Space, of what will constitute the content of this universe; and there, the universe is pre-existent, but not manifested, and Time begins with objectivisation. Question: Mother, are Time and Space particular only to the physical world or to other worlds also? Mother: As there are forms, there is necessarily a Time, a Space, but it is not at all the same as the physical. It is neither the same Time nor the same Space. For example, as soon as you come to the vital world there is a Time and Space which are similar to the physical but without that fixity and hardness and irremediability which are here. That is, for instance, in the vital a strong intelligent will has an immediate action; here, in the physical, it takes sometimes extremely long to be realised, an entire process has to be followed. In the vital it is direct, the will acts directly on the circumstances, and if it is truly of a very strong kind, it is instantaneous. But there is still a Space, that is, one has the impression of moving to go from one place to another, and that necessarily, as one moves, a certain time intervenes; but it is an extremely short time compared with physical time. On the mental plane the notion of Time disappears almost totally. For example, you are in your mental consciousness, you think of someone or something or of a place, and immediately you are there. There is no need of any time between the thought and the realisation. It is only when the mind is mingled with the vital that the notion of time is introduced; and if they go down into the physical, before a mental conception can be realised a whole process is necessary. You do not have a direct mental action on matter. For instance, if you think of someone who lives in Calcutta, well, physically you have to take a plane and some hours must pass before you can be there; while mentally if you are here and think of someone in Calcutta, instantaneously you are there with him. Instantaneously, you see. But if you go out in the vital from your body and want to go somewhere, well, you have the feeling of moving, and of the time it takes you to reach the place you are going to. But it is incomparably fast in relation to the physical, to the time necessary to do things physically. 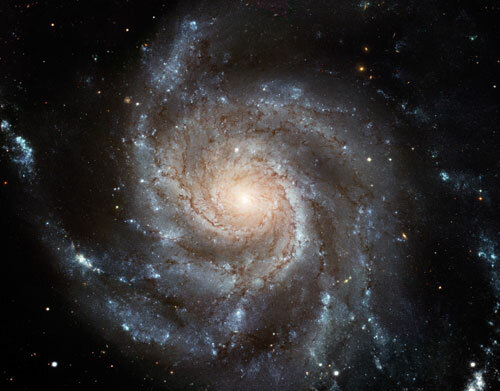 Only right at the top of the ladder, when one reaches what could be called the centre of the universe, the centre and origin of the universe, everything is instantaneous. The past, present and future are all contained in a total and simultaneous consciousness, that is, what has always been and what will be are as though united in a single instant, a single beat of the universe, and it is only there that one goes out of Time and Space. Question: On the psychic plane is there a past, present and future? Mother: In the psychic plane? Yes, you have even the consciousness of all the lives you have lived. When you enter into contact with the psychic you become conscious of all the lives you have lived, it keeps the absolutely living memory of all the events in which the psychic took part – not the whole life, not that one can tell little stories to oneself: that first one was a monkey and then later something a little higher, and so on, the cave-man… no, no stories like that. But all the events of former lives in which the psychic participated are preserved, and when one enters into conscious contact with his psychic being this can be called up like a sort of cinema. But it has no continuity except in lives in which the psychic is absolutely conscious, active, permanently active, that is, constantly associated with the consciousness; so naturally, being constantly associated with the consciousness, it consciously remembers everything that has happened in the real life of the person, and the memories – when one follows these things – the memories of his psychic being are more and more coordinated and closer and closer to what could be a physical memory if there were one, in any case of all the intellectual and emotional elements of life, and of some physical events when it was possible for this being to manifest in the outer consciousness; then, at these moments, the whole set of physical circumstances in which one was is kept absolutely intact in the consciousness. Mother: Space and time do not begin and end with the mental consciousness: even the Overmind has them. They are the forms of all cosmic existence: only, they vary on each level. Each world has its own space and time. Thus the mental space and time do not tally with what we observe here in the material universe. In the mind-world we can move forward and backward at our own will and pleasure. The moment you think of a person you are with him; and no matter how near you may be to somebody, you can still be far away if your thoughts are occupied with someone else. The movement is immediate, so very free are the spatio-temporal conditions there. In the vital world, however, you have to use your will: there, too, distance is less rigid, but the movement is not immediate: the will has to be exercised. Sweet Mother, can one go out of Time and Space? Mother: If one goes out of the manifestation. It is the fact of objectivisation, of manifestation which has created time and space. To go out of it one must return to the origin, that is, go out of the manifestation. Otherwise from the very first objectivisation time and space were created. There is a feeling or a perception or an experience of eternity and infinity in which one has the impression of going out of time and space.…It is only an impression. One must pass beyond all forms, even the most subtle forms of consciousness, far beyond the forms of thought, the forms of consciousness, to be able to have this impression of being outside space and time. This is what generally happens to people who enter into samadhi – the true samadhi – and when they come back to their normal consciousness, they don’t remember anything, for, in fact, there was nothing they could remember. This is what Sri Aurobindo says here: If Brahman were only an impersonal abstraction, the one reasonable end would be annihilation. For it is obvious that if one goes out of time and space, all separate existence automatically ceases. There, now. So one can, without much result! Is that all? Have you tried to go out of time and space? Here is some interesting information that sounds pretty soberly. Later I received information about the source of the flow of Time that forms the physical worlds. Black holes are such source where remnants of collapsing worlds are melted and matrices of the future worlds created. Precisely black holes are the starting point of the energy flux of Time creating new worlds. Moreover, it is energy essence of material bodies makes it possible to carry out their moving in space by the energy flux of Time. Physical bodies are transformed into a special energy structure, which is moved in the energy flow of Time and at the point of arrival is again transformed into material body. In the absence of any original spiritual insight, I hesitate to offer any comment on the matter right now. There are several examples in the Agenda, and in the narrative of Mind of the Cells of Mother’s experience of Space-Time ‘shifts’. thanks. It would be helpful to others if you can supply the exact references – date or page number. Pls Let us know if psyche beings too have a body?Because mind has no body, how a psyche being can have a body? It is best to meditate deeply and let the answers arise in meditation. Raising such trivial questions out of curiosity is a distraction. The bewildered mind which keeps seeking answers must be illumined from within. can u please explain in detail what is meant by “it is possible to see the past, present and future in a single glimpse”. how can three exist simultaneously. SA has also said “what we mean by the Timeless is a spiritual status of existence not subject to the time movement or to the successive or the relative time-experience of a past, present and future. The timeless Spirit is not necessarily a blank; it may hold all in itself, but in essence, without reference to time or form or relation or circumstance, perhaps in an eternal uity. Eternity is the common term between Time and the Timeless Spirit. What is in the Timeless unmanifested, implied, essential, appears in Time in movement, or at least in design and relation, in result and circumstance. These two then are the same Eternity or the same Eternal in a double status; they are a twofold status of being and consciousness, one an eternity of immobile status, the other an eternity of motion in status.” and also that through yoga you can realise the dwelling in eternal “IS” or the present. Bits: “it is possible to see the past, present and future in a single glimpse”. how can three exist simultaneously. In a flash, you could see the past lives of a person sitting before you and what he/she will be in the future based on current potential. That is an example. Generally speaking, such power is called trikal-dristi in the scriptures. To understand the second paragraph of Sri Aurobindo, imagine for a second that you are above the clouds. In one perspective you may feel that the atmosphere is just a Motionless Eternity but if you look at the clouds moving below you, you feel there is movement and Time. Similarly, the Universe is simultaneously Motionless as well as manifesting all its potentialities. When you reach the state of Brahman, you get a glimpse of this view of the world. ya i got that. and thanks for clarifying it so beautifully. this makes me wonder that as many scientists today say that “past present and future exists together” and what they mean is that right now there is another me doing what i did in the past and another me doing what i will do in the future. and this brings in the concept of time travel that we can go back and meet our 10 year old ourselves and vice versa. its almost fiction and so overwhelming. but according to Sri Aurobindo that is not really the case as there exists only the present and past has already taken place and future is evolving. that means time travel is only imaginative. Am i right here? has Sri Aurobindo ever mentioned something relating to time travel ever? From my limited understanding, parallel universes were proposed by physicists to explain quantum mechanical phenomena and satisfy anomalies in physical laws. Physicists do not include the concept of a human soul, reincarnation, karma in their models. From the spiritual perspective, the worlds are concentric rather than parallel. The worlds and the beings within it are both made of gradations of consciousness(see Constitution of Man). The past as well as the future are recorded in some layer of consciousness. We see the past or the future only when we are able to transition to those layers of consciousness. That is what Yoga enables you to do – to free you from your physical self so that you can transition and view a different layer of consciousness. So thats the main difference I think : the physicists think the worlds are parallel but the spiritual perspective says the worlds are concentric. ya, when i studied quantum mechanics and string theory it was really weird how they have come up with imaginary senseless weird theories to explain what they dont understand. e.g the many world theory and quantum eraser effect. If one goes through the wrtings of SA and other yogis one would easily find these scientific assumptions dont really hold ground. But since i came across this trilak-drishti as explianed, i wondered if science has been right all along about time travel. I havent been able to find any yogic scriptures particularly related to it. and what you explained earlier i assume the past is recorded in akshaic records like a recording in a tape-recorder and the future is only evolving as per the karma model. in such a case we are always living in what is explained in timelessness or the ever-present. the past and future dont exist along with the present. but we can only infer these things. and we cant validate anything without any scientific proof or any yogi’s knowledge. I wonder if any yogis and especially SA ever told anything specifically about it. i have searched a lot but in vain. what do you think sandeep? do u think these things hold any ground as per what knowledge the great yogis have passed along? and btw awesome work with the blog. i find it the most reliable and extensive source as per SA and mother’s teachings. keep it up. Bits:But since i came across this trilak-drishti as explianed, i wondered if science has been right all along about time travel. I havent been able to find any yogic scriptures particularly related to it. The scriptures are in Sanskrit and may not be translated or available in searchable form. There should be references to trikal-drishti in Jain, Buddhist, Kashmir Shaivism and other schools. Bits: but we can only infer these things. and we cant validate anything without any scientific proof or any yogi’s knowledge. I wonder if any yogis and especially SA ever told anything specifically about it. Sorry, didn’t get the question. Are you asking if yogis have said anything about time travel or “how to prove time travel” ? ya exactly sandeep…thats precisely my question. has yogis said anything about time travel? since science is talking about it, has any yogis ever especially Sri Aurobindo and Mother ever discussed about time-travel (going to the past or the future) ? 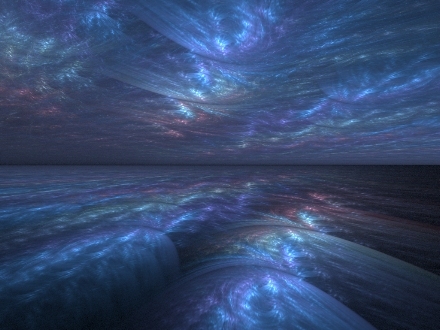 Time travel as the physicists describe it may not be possible. I have no idea how they define the human consciousness which will experience the shift in Time. I just googled “time travel in ancient hindu scriptures” and came up with a bunch of links. Try it out yourself. You will have to separate fiction from fact. I don’t know about the rest of the story but it contains a significant remark. It says “Brahma laughed loudly, and explained that time runs differently on different planes of existence”. This is indeed correct – Time does run differently on different planes of existence as the SA&the Mother also state above. I am of the opinion that all concentric worlds have different levels of consciousness and depending on which we perceive time. depending on the level of consciousness speed of time is faster in some world and slower in others. but if you take all world simultaneously, they are all in the ever present or as SA has mentioned timelessness. this also validates SA’s remark that “time has evolved from timelessness”. we perceive time only only to differentiate the past present and future. thus time is only dependent on the level of consciousness of the individual and the world the individual is currently residing in. this also falls in line to exactly what a few scientists of today say. A similar idea is also presented in the movie “interstellar” released in November this year. Bits: A similar idea is also presented in the movie “interstellar” released in November this year. I haven’t seen the movie “Interstellar” but looks like it and other movies have borrowed these concepts from Hinduism based on a recent article in The Guardian. Interstellar’s box office total is $622,932,412 and counting. It is the eighth highest-grossing film of the year and has spawned an endless raft of thinkpieces testing the validity of its science and applauding the innovation of its philosophy. But it is not so new. The idea that propels the plot – there is a universal super-consciousness that transcends time and space, and in which all human life is connected – has been around for about 3,000 years. It is Vedic. McConaughey’s character doesn’t just talk the talk. He walks the walk. So, the multidimensional tesseract – that endlessly reflective prism he finds himself in as he comes to this realisation, and in which he views life from every perspective – is the film’s expression of Indra’s net, the Hindu metaphor which depicts the universe as an eternal web of existence spun by the king of the gods, each of its intersections adorned with an infinitely sided jewel, every one continually reflecting the others. Disciple: One can go back in space but one can’t go back in time, physically. Sri Aurobindo: Because time is not a physical entity, it is supra-physical. It is made of subtle elements and so you can go back only in the subtle way. can u please elaborately explain what SA meant? As the first two paragraphs of this page briefly state, Time and Space come about due to the expansion of the Consciousness-Force (i.e. Sat-Chit-Ananda). In other words, you experience Space and Time as a subjective experience but holistically, these distinctions do not exist. Think of this as a holographic 3D camera which is capturing every moment and every position in an unfolding drama. You can only see the present view of it because you are fixed in one position and one time. But if you could break the illusion of your personality, you could relive the past scenes. This Consciousness-Force holds all past moments in its “photographic memory”. That is why the laws of Karma also work – they are forever reconciling the past with the present. ‘CB: It is reported that you are able to move across time and space at will, with full consciousness. D: Yes, I can do it, but not with my human brain [laughing]. You’ve just mentioned something that people do not understand–motion. What is motion! You said “moving in time,” implying that there is motion in time and space. But when you attune yourself to the cosmic memory, on the higher levels of the noetic plane, and you want to see something in what people call the Akashic Records, this does not apply. When I want to, I can know everything through the attunement of my mind in a few minutes. It is difficult to speak openly of these things, but there are the divine powers in human nature, when you know how it feels to be God. Through exosomatosis (astral travel), you are able to access experiences from other places and periods of time. You are able to remember all of your previous incarnations and everything- in your incarnations. Before that, you cannot remember anything. CB: Does that increase your pain! D: Yes. But it is also a divine blessing. I often attune myself to previous incarnations. Each one is like a book I have written. It is on my shelf. CB: How many have there been! Just thought this fitted the discussion. Yes, thanks mark. lt’s definitely the same thing that Daskalos is referring too. As SA and M said, it’s through the Psychic Consciousness that all our past lives are known – ln that Timeless Eternity of the Psychic, that is..
Is imagination a world in itself? if so, do we actually live in that world after death? For example, let’s say a person believes that he will live in heaven after death. Will that belief itself create a heaven for him after death (where his subtle body will go and live)? No, you cannot create a heaven for yourself just like that. Maybe an Avatar could create a zone like that.